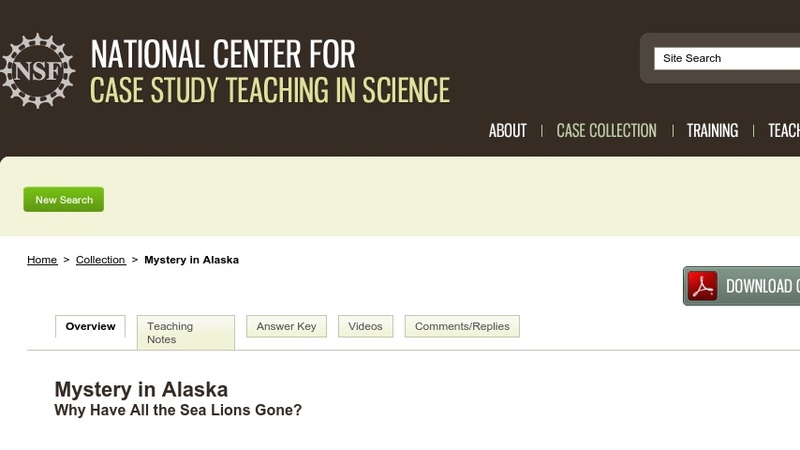 Mystery in Alaska Why Have All the Sea Lions Gone? This interrupted case study highlights the importance of energy considerations within food chains by examining the population decline of Steller sea lions along the western Alaskan coast. A ban on commercial fishing of pollock in the 1970s caused a shift in the availability of the sea lions’ prey. Sea lions have an overall negative net energy balance when consuming pollock, but an overall positive net energy balance when consuming the fattier, easier to catch and digest herring. Could an increase in pollock and a decrease in herring be responsible for sea lion decline? Originally designed for an environmental science course, the case could easily be adapted for an introductory level chemistry or biology course by stressing quantitative, energy balance aspects.